Where Can We Run Track? 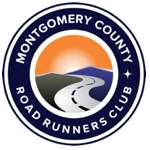 Montgomery County Road Runners Club The running club with a place for every pace! Coordinate with Race Director to receive course map. Drive the course using club van with appropriate cones and mile markers already loaded. Place cones, arrows, mile markers, water stop supplies at appropriate points along the race course according to the map. Post-race – Sweep the race course in club van and collect all the equipment back off the course along with any trash that is found along the way. Provide on-site race cheering! You will be assigned an intersection along the race course. As runners approach you during the race you direct them so they stay on course, may stop on-coming traffic until runners have come through, may provide vehicular traffic alternative routes around race course, may cheer and encourage runners as they pass by. Meet the Race Director at the club storage shed and, following a checklist, find all the equipment needed for the race, load it into the club van (or truck for larger races) and take it to the race site. After the race when all the equipment has been collected and loaded back onto the van, take the equipment back to the shed, clean it (as needed), and return to its original places. Let club officials know of any equipment that needs repair or replacement. Work with fellow volunteers to direct runners into appropriate parking spaces, moving cars quickly through parking lots or fields working to avoid backups and traffic jams. Many times fellow volunteers break off into two teams so two lanes of cars can be directed simultaneously into open parking spaces. This moves traffic more quickly helping to avoid back ups. Keep in mind drivers always need to see a volunteer so they know where to go or which lane to turn down. Remain in their line of sight so you can send them down a lane or around a corner to the next volunteer. Prior to race morning, familiarize yourself with information such as where registration is located, where restrooms are located, start time of the race, and start location as you may be asked those questions. Be on the other side of the cup! This position has you arriving 60 minutes or so before the race to work as a team with fellow water stop volunteers to move & set-up tables with cups half-filled with water and/or sports drink. Once the runners have come through the water stop, volunteers are responsible for raking up the dispensed cups, gathering the trash and breaking down the tables. Your other role is also providing smiles, clapping, cheers and more while assisting runners by pouring water into their bottles. Crowd support is sometimes more valuable than the fluid you put into their water bottles. Like runners, volunteers will be exposed to the weather conditions. Our races are held rain or shine. Dress appropriately. Set-up and break-down of equipment for the start/finish line (i.e. timing mats, start line tape, tent for scoring team, cones). Collection of timing chips from runners as they finish. Verification that chips have been returned as runners leave finish area (i.e. no timing chips left on shoes). This job may also include: help with data entry and delivering registration forms for data entry, directing runners and recording bib numbers as the runners come into the finish-line. Volunteers ensure the table being used to place the refreshments on is clean. Cut the bagels, put napkins in the baskets/serving trays and place the bagels into them. Place all other food items on the table, including juice and water containers. Set out paper cups near the juice and water containers. Be there to encourage the runners and volunteers to partake of the goodies!!! Restock as needed, then, clean up. All refreshment volunteers must wear gloves (provided) and long hair must be tied back. Typically registration volunteers are the first point of contact for runners taking part in MCRRC events so bring your smiles! Volunteers help runners complete registration forms, assign bib numbers and chips for timing, plus answer general questions. This is a great job for early birds or folks wishing to also run the race. This is sometimes even a coveted indoor job! It's easy to join us - and renew your membership! See this page for more information. Send website comments, questions and feedback to: webmaster@mcrrc.org. Send general club information requests to info@mcrrc.org.